In a recent NICEIC survey three quarters of male electricians said they would be happy for their daughters to take up a career in the trade. The survey of electrical contractors was carried out by electrical industry body NICEIC. Its Jobs for the Girls campaign was set up to encourage more women into the trade and to plug the increasing skills and gender gaps. Three quarters of male electricians surveyed said they would be happy for their daughters to take up a career in the trade. However, a similar percentage feel old school attitudes towards women would actively discourage females from taking up a trade. “As part of National Women in Engineering Day we would encourage dads to talk about their trade to their daughters – particularly as up to 75% of contractors would be happy to see their daughters become an electrician. 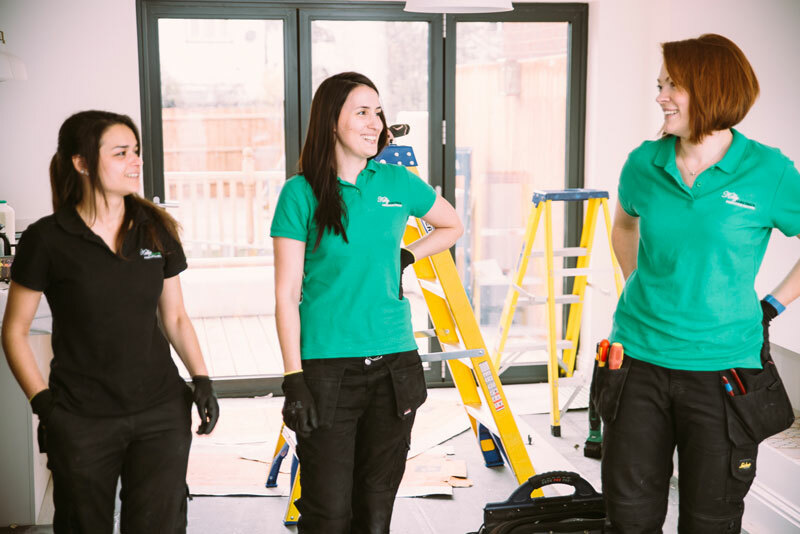 Since launching the Jobs for the Girls campaign in 2011 NICEIC is seeing a growing interest in women wanting to take up a trade. However, the numbers are still painfully low. As Emma added: “It was interesting to note that many men feel certain attitudes from another era, still exist today. The survey of over 100 electrical contractors found that 90% of fathers believe that it is their responsibility to advise their daughters on their career choices. However, only 1 in 5 dads said their child had received any information from school or careers advice service about trade opportunities. “Our research suggests the interest is there. We now have to build on that and do what we can to break down any barriers that might be preventing young women from entering the trade.